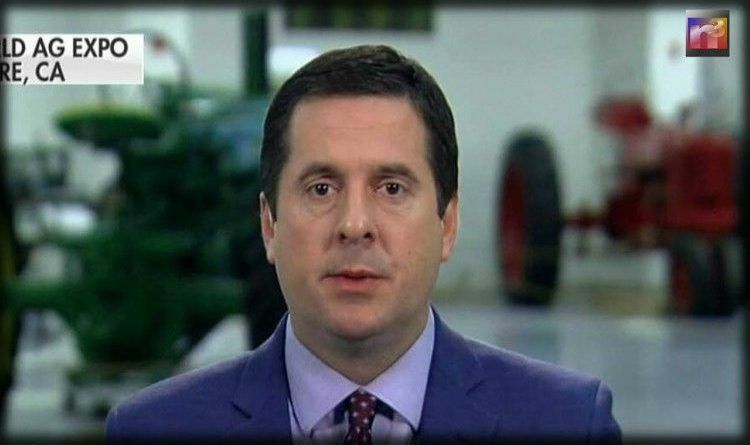 Rep. Devin Nunes (R-CA) the Chairman of the House Intelligence Committee appeared on Sunday Morning Futures for an interview with Maria Bartiromo. Nunes told Maria Bartiromo the only collusion his committee found in the 2016 election were the links between the Democratic Party and Clinton Campaign to Russia. Mueller personally flew to Russia to give the FSB a sample of the American uranium Crooked H was putting up for sale. That’s right, the very same man who’s now “investigating” Russian collusion of the Trump campaign. And, let’s not underestimate or forget the strong Podesta connection to Russia via their lobbying firm. Podesta was running Hillary’s campaign. Devin Nunes is a courageous and great American. But, with all these evidence, why not open a full investigation against the DNC and bring forth charges? Why isn’t anyone investigating this threat to our democracy? I am sure that when the house of cards fall they will then have to scream that collusion isn’t a crime.